The timeless appeal of the classic trawler-style motor yacht evokes dreams of passage-making, long-range, bluewater cruising and an era of elegance with underlying endurance. Open-water cruising requires yachts that are built tough, equipped with the technology to operate safely in all conditions and the comforts of home for satisfying the family and friends onboard. 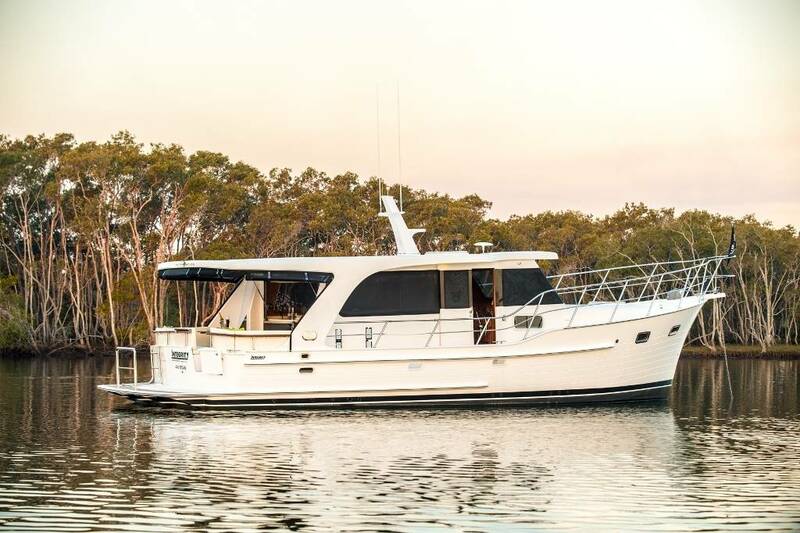 There are some exciting launches in the trawler-style segment at this year’s Sanctuary Cove International Boat Show (SCIBS), including for the first time in the Australian market, the latest model Kadey-Krogen 48 displayed by dealer, Andrew Coffey. 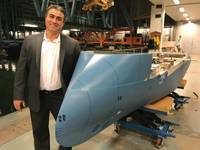 “It’s definitely a niche product, a full displacement trawler, from 39 to 58-feet and above,” Coffey said. Coffey says just about everything will appeal to the Australian market, from layout, to efficiency of hull. Coffey is also distributor for Outer Reef Yachts in Australia, and will debut the Outer Reef 630, long range motor yacht at this year’s boat show. “It’s a brand new model and a new boat, with a lot of features in terms of layout and more windows, full beam master cabin and more contemporary interiors,” he said. Clipper Motor Yachts will be expanding its Hudson Bay lobster style sedan cruiser range with a 32ft model, making its world debut at SCIBS. Designed and tooled from scratch as a new design, the 32 will have the same styling DNA as the 39 – a sleek and stylish sedan with flared hull and tumblehome transom in the Newport, Rhode Island tradition. Clipper Motor Yachts commissioned the family owned Turkoglu Yatcilik Ltd Shipyard in Turkey to assist with the design, tool and manufacturer of this new model alongside the Hudson Bay 39 model. 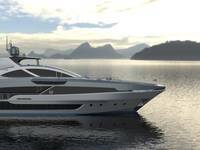 “These superbly styled vessels are crafted for the buyer who wants something with a little more class and individuality over the production sports cruiser,” said Thurley. Fleming Yachts have now produced over 230 hulls of the Fleming 55, which is said to be the “ultimate cruising yacht” by many boating journalists and Fleming owners around the world. Fleming Yachts Australia is exhibiting the latest Australian Fleming 55 at this year’s SCIBS. 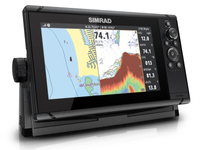 An obsessive desire to make the best even better has resulted in a vessel with hundreds of practical and sensible improvements since its inception in 1985, allied to the latest that technology can offer. The Fleming 55 has become a truly international success story; the ideal choice for discerning yachtsmen who appreciate the amazing attention to detail, superb engineering and workmanship, an extraordinarily quiet ride, the sophisticated on-board monitoring systems and the beautifully crafted interiors. Through 28 years of building, she has proven to be a thoroughly timeless design. 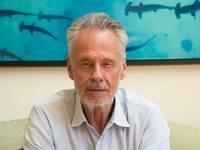 Dean Leigh-Smith, dealer principal at Leigh-Smith Cruiser Sales, is excited to be presenting four new vessels, including the world release of the Alaska 59 Sedan. The 59 Sedan was designed with local knowledge for coastal cruising for families and avid entertainers. The open-plan integration of the helm, galley and dining and saloon areas allows for complete interaction with everyone onboard. The Alaska 59 features four cabins including a full beam, king-sized master stateroom. With high-sided walk arounds and being the first Alaska to feature Wesmar Hydraulic Stabilisers as standard equipment, comfort and safety at sea are assured. Dubbed the “owner’s boat” the Alaska 59 is simple to operate and manoeuvre, with bow and stern thrusters and full engine controls available in the cockpit as well as at the helm. Leigh-Smith’s other boats on show in 2014 include the Alaska 49 Aft Cabin yacht Fisher, Hampton 700 Skylounge and a new version of the Endurance 720 DPB. At this year’s SCIBS, Grand Banks, under newly appointed dealer Todd Holzapfel, will exhibit some of its exceptional models, ranging from 43 to 72ft. 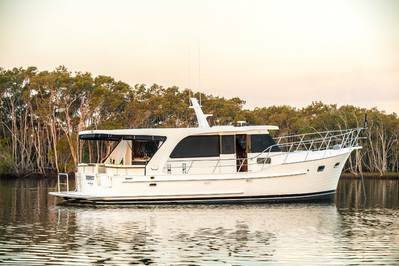 Based at Sanctuary Cove all year round, Integrity will be showing its biggest display ever - five boats, all of them either new models or current models featuring an array of enhancements such as raised decks which offer greater space in the lower deck cabins and new styling in their timber work. Boats on show include the Integrity 340 Sedan, 380 Sedan, the first of the new model 380 Flybridge, 440 Sedan and in the Aspire Motor Yacht brand, the new model 45 Sedan. Sponsored by Club Marine and Maserati Euromarque Brisbane, SCIBS 2014 will run from May 22 to 25. In 2014, SCIBS has partnered with Translink to offer free train travel to and from the 2014 Boat Show on all regular Queensland Rail City Network trains when users display a pre-purchased ticket to the event. Translink will also run Free ‘Park ‘n’ Ride’ services for all self-drive visitors from Helensvale. The 2014 Boat Show will showcase a wide variety of international boating brands, products and technologies on display alongside the superb backdrop of the award-winning Sanctuary Cove marina and The Marine Village. Offering something for the whole family, SCIBS will also feature a full program of live entertainment, cooking demonstrations and seminars as well as a kids zone and Women on Water program throughout the four-day event. Tickets are on sale now through Ticketmaster.